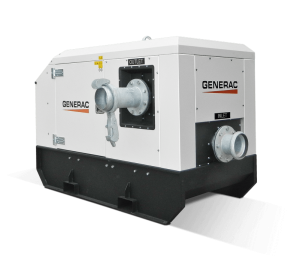 The DWP Range of diesel-driven pumps are the new product family of Generac Mobile®, including 4 different lines: DWC-V (silenced vacuum-assisted pumps), DWA-V (open set vacuum-assisted pumps, air or liquid cooled) and the DWC-S and DWA-S self priming pumps with or without canopy. 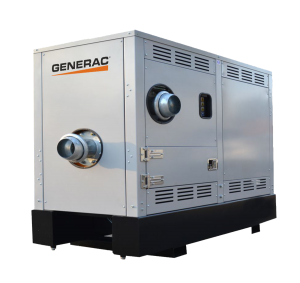 The Generac DWC-V and DWA-V ranges of vacuum assisted engine driven pumps are purposely built with a 50mc/h high performance dry vacuum style pump that guarantees rapid self-priming with minimal operating expense. Continual performance can be attributed to the diaphragm vacuum pump’s automatic priming even when loaded with significant air intake. 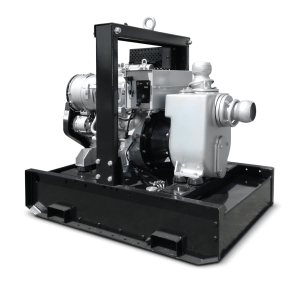 The vacuum-assisted pumps can be used in different range of applications: construction and mine sites dewatering, well point, sewage and by-pass are just a few of the many applications in which this impressive line of pumps can be used. The range of DWC-S and DWA-S self-priming pumps are built for pumping water with solids holdup, containing sand and mud. 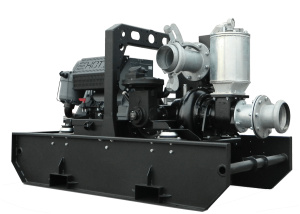 The special design makes these pumps suitable for different applications, used at contractor sites, civil service and industry where unclean liquid pumping and water displacement necessary. The open impeller has wide passages for control solids, the standard version is in cast iron type spheroidal with high wear resistance. The standard models are built on skid base; on request is available on an off-road trailer. Self-priming pumps in silenced version on skid base with air or water cooled engine. DWA-V Line is a series of dry vacuum-assisted pumps in open set version with air-based cooling system.